The Nobel Prize of Literature Jose Saramago compares the suffering of the Palestinians under Israeli occupation as the same suffering of the jews in the Nazi boot camps. “The repression from Israel is the worst form of Apartheid. Nobody has the faintest idea of what is going on here, even the best informed people. Everything is in pieces, the land is destroyed and nothing else may be planted. All this smells like a boot camp, like Auschwitz. The israeli have turned into NAZI JEWS” , he declared after a visit to Palestina in March, 2002. Although the image that Israel distributes about herself is that of an oppressed nation, it is with heavy hearts that we present these crimes that stand for themselves for the brutality of the Israeli Army and the heartlessness of its soldiers who seem to have a thirst for blood. It is for the hope that the world may see a clearer picture that we present these painful facts. It is interesting to notice that today’s media does not dwell on these crimes as they do on the Holocaust. They are reported in the news for a week or two and then swept into the sea of oblivion. Those who attempt to revive the true history of Israel are charged of being anti-Semitic. So with the hope to keep those memories in mind we present this shameful history of Israel that seems to have found that the role of Goliath is more interesting than that of David. The following list of massacres is by no means exclusive, but they reflect the nature of the Zionist occupation of Palestine and Lebanon and show that massacres and expulsions were not aberrations that happen in any war, but organized atrocities with only one aim, that is to have a Zionist state which is ‘goyim rein’. The King David Hotel explosion of July 22, 1946 (Palestine), which resulted in the deaths of 92 Britons, Arabs and Jews, and in the wounding of 58, was not just an act of “Jewish extremists,” but a premeditated massacre conducted by the Irgun in agreement with the highest Jewish political authorities in Palestine– the Jewish Agency and its head David-Ben-Gurion. The Irgun had conceived a plan for the King David attack early in 1946, but the green light was given only on July first. According to Dr. Sneh, the operation was personally approved by Ben-Gurion, from his self-exile in Europe. Sadeh, the operations officer of the Haganah, and Giddy Paglin, the head of the Irgun operation under Menachem Begin agreed that thirty-five minutes advance notice would give the British time enough to evacuate the wing, without enabling them to disarm the explosion. The Jewish Agency’s motive was to destroy all evidence the British had gathered proving that the terrorist crime waves in Palestine were not merely the actions of “fringe” groups such as the Irgun and Stern Gang, but were committed in collusion with the Haganah and Palmach groups and under the direction of the highest political body of the Zionist establishment itself, namely the Jewish Agency. during the Palestine Mandate or of the Government of Israel thereafter. On July 22, 1946, one of the most dastardly and cowardly crimes in recorded history took place. We refer to the blowing up of the King David Hotel in Jerusalem. Ninety-two persons lost their lives in that stealthy attack, 45 were injured, among whom there were many high officials, junior officers and office personnel, both men and women. The King David Hotel was used as an office housing the Secretariat of the Palestine Government and British Army Headquarters. The attack was made on 22 July at about 12 o’clock noon when offices are usually in full swing. The attackers, disguised as milkmen, carried the explosives in milk containers, placed them in the basement of the Hotel and ran away. The Chief Secretary for the Government of Palestine, Sir John Shaw, declared in a broadcast: “As head of the Secretariat, the majority of the dead and wounded were my own staff, many of whom I have known personally for eleven years. They are more than official colleagues. British, Arabs, Jews, Greeks, Armenians; senior officers, police, my orderly, my chauffeur, messengers, guards, men and women– young and old– they were my friends. Although members of the Irgun Z’vai Leumi took responsibility for this crime, yet they also made it public later that they obtained the consent and approval of the Haganah Command, and it follows, that of the Jewish Agency. “…It appears that, after exploding a small bomb in the street, presumably as a diversionary measure– this did virtually no damage– a lorry drove up to the tradesmen’s entrance of the King David Hotel and the occupants, after holding up the staff at pistol point, entered the kitchen premises carrying a number of milk cans. At some stage of the proceedings, they shot and seriously wounded a British soldier who attempted to interfere with them. All available information so far is to the effect that they were Jews. Somewhere in the basement of the hotel they planted bombs which went off shortly afterwards. They appear to have made good their escape. January 30-31, 1947(Palestine) : This massacre took place following an argument which broke out between Palestinian workers and Zionists in the Haifa Petroleum Refinery, leading to the deaths of a number of Palestinians and wounding and killing approximately sixty Zionists. A large number of the Palestinian Arab workers were living in Baldat al-Shaikh and Hawasa, located in the southeast of Haifa. Consequently, the Zionists planned to take revenge on behalf of fellow Zionists who had been killed in the refinery by attacking Baldat al-Shaikh and Hawasa. them with hand grenades, then went inside, firing their machine guns. 3 The terrorist attack led to the deaths of approximately sixty citizens inside their homes, most of them women, elderly and children. 4 The attack lasted for an hour, after which the Zionists withdrew at 2:00 a.m., having attacked a large number of noncombatant homes. 13 December 1947 (Palestine) : men of the Arab village of Yehiday (near Petah Tekva, the first Zionist settlement to be established) met at the local coffee house when they saw a British Army patrol enter the village, they were reassured espeically that Jewish terrorists had murdered 12 Palestinians the previous day. The four cars stopped in front of the cafe house and out stepped men dressed in khaki uniforms and steel helmets. However, it soon became apparent that they had not come to protect the villagers. With machine guns they sprayed bullets into the crowd gathered in the coffee house. Some of the invaders placed bombs next to Arab homes while other disguised terrorists tossed grenades at civilians. For a while it seemed as if the villagers would be annihilated but soon a real British patrol arrived to foil the well organized killing raid. The death toll of 7 Arab civilans could have been much higher. Earlier the same day 6 Arabs were killed and 23 wounded when home made bombs were tossed at a crowd of Arabs standing near the Damascus Gate in Jerusalem. In Jaffa another bomb killed six more Arabs and injured 40. 18 December 1947 (Palestine) : Two carloads of Haganah terrorists drove through the village of Khisas (on the Lebanese Syrian border) firing machine guns and throwing grenades. 10 Arab civilians were killed in the raid. On the night of 18–19 December 1947, the Palmach conducted a raid on al-Khisas with orders calling for “hitting adult [or the adult] males” and “killing adult [or the adult] males in the palace of the Emir Faur”, which was thought to hide a man responsible for shooting a resident of Kibbutz Ma’ayan Baruch in revenge for the shooting of an Arab a few days earlier. They blew up Faur’s house and a neighboring house, killing many occupants including women and children.According to Ben-Gurion, the raid was unauthorised. Local Jewish leaders and Arab affairs experts had tried to prevent the raid, but had been overridden by Yigal Allon. Afterwards the Political Department of the Jewish Agency criticized the attack and Yosef Sapir of the Defence Committee called for the punishment of those responsible, but no action was taken.Following the raid a large part of the residents left their homes. The number of dead has been recorded as 10 (5 men, 1 woman and 4 children); however, the report from the Palmach commander recorded 12 dead (7 men, 1 woman and 4 children). David Ben-Gurion issued a denial that the raid had been authorised and issued a public apology, but it was later included by him in a list of successful operations. The Yishuv held a meeting on the 1–2 January to discuss the policy of reprisal operations, the outcome of which was a formulation of guidelines by the Jewish High Command for the conduct and execution of retaliatory raids. The first wave of villagers left the al-Khisas on 11 May 1948. Others left on 25 May 1948. Another 55 villagers remained in their homes and maintained good relations with the Jewish settlements in the area, but were eventually evicted.During the night of 5–6 June 1949, the villagers were forced into trucks and transported to the village of ‘Akbara, south of Safad. Those expelled remained at ‘Akbara for 18 years until agreeing to resettlement in Wadi Hamam. On September 26, 1948, Kibbutz HaGoshrim was established on the village lands of al-Khisas. The kibbutz opened a hotel in the manor house of Emir Faour. 5/7/1948(Palestine): The Jewish Agency escalated their terror campaign against Palestinian Arabs. They decided to perpetrate a wholesale massacre by bombing the Semiramis Hotel in the Katamon section of Jerusalem, in order to drive out the Palestinians from Jerusalem. The massacre of the Semiramis Hotel on January 5, 1948, was the direct responsibility of Jewish Agency leader David Ben-Gurion and Haganah leaders Moshe Sneh and Yisrael Galili. If this massacre had taken place in World War II, they would have been sentenced to death for their criminal responsibility along with the terrorists who placed the explosives. January 5, 1948. Haganah terrorists made a most barbarous attack at one o’clock in the early morning of Monday…at the Semiramis Hotel in the Katamon section of Jerusalem, killing innocent people and wounding many. The Jewish Agency terrorist forces blasted the entrance to the hotel by a small bomb and then placed bombs in the basement of the building. As a result of the explosion the whole building collapsed with its residents. As the terrorists withdrew, they started shooting at the houses in the neighborhood. Those killed were: Subhi El-Taher, Moslem; Mary Masoud, Christian; Georgette Khoury, Christian; Abbas Awadin, Moslem; Nazira Lorenzo, Christian; Mary Lorenzo, Christian; Mohammed Saleh Ahmed, Moslem; Ashur Abed El Razik Juma, Moslem; Ismail Abed El Aziz, Moslem; Ambeer Lorenzo, Christian; Raof Lorenzo, Christian; Abu Suwan Christian family, seven members, husband, wife, and five children. The fighting proceeded from house to house, and whenever the Jews occupied a house, they would blow it up, then direct a call to the inhabitants to flee or face death. Believingthe threat, the people left in terror in hopes of saving their children and women. Butwhat should the Stern and Irgun gangs do but rush to mow down whoever fell withinrange of their weapons. Then, in a picture of barbarism the likes of which humanityhas rarely witnessed except on the part of the most depraved, the terrorists beganthrowing bombs inside the houses in order to bring them down on whoever was inside. The orders they had received were for them to destroy every house. Behindthe explosives there marched the Stern and Irgun terrorists, who killed whoever theyfound alive. The explosions continued in the same barbaric fashion until theafternoon of April 10, 1948.7 Then they gathered together the civilians who were stillalive, stood them up beside the walls and in corners, then fired on them. About twenty-five men were brought out of the houses, loaded onto a truck and led on a “victory tour” in the neighborhood of Judah Mahayina and Zakhroun Yousif. At theend of the tour, the men were brought to a stone quarry located between Tahawwu’atShawul and Dair Yasin, where they were shot in cold blood. Then the Etsel and Layhi“fighters” brought the women and the children who had managed to survive up to atruck and took them to the Mendelbaum Gate. Finally, a Hagana unit came and duga mass grave in which it buried 250 Arab corpses, most of them women, children and the elderly. A woman who survived the massacre by the name of Halima Id describes whathappened to her sister. She says, “I saw a soldier grabbing my sister, Salihaal-Halabi, who was nine months pregnant. He pointed a machine gun at her neck,then emptied its contents into her body. Then he turned into a butcher, and grabbeda knife and ripped open her stomach to take out the slaughtered child with his iniquitous Nazi knife.”10 In another location in the village, Hanna Khalil, a girl at thetime, saw a man unsheathing a large knife and ripping open the body her neighborJamila Habash from head to toe. Once news of the massacre had gotten out, a delegation from the Red Cross tried to visit the village. However, they weren’t allowed to visit the site until a day after the time they had requested. Meanwhile the Zionists tried to cover up the evidence of their crime. They gathered up as much as they could of the victims’ dismembered corpses, threw them in the village well, then closed it up. And they tried to change the landmarks in the area so that the Red Cross representative wouldn’t be able to find his way there. However, he did find his way to the well, where he found 150 maimed corpses belonging to women, children and the elderly. And in addition to the bodies which were found in the well, scores of others had been buried in mass graves while still others remained strewn over street corners and in the ruins of houses. Afterwards, the head of the terrorist Hagana gang which had taken part in burying the Palestinian civilians wrote saying that his group had not undertaken a military operation against armed men, the reason being that they wanted to plant fear in the Arabs’ hearts. This was the reason they chose a peaceable, unarmed village, since in this way they could spread terror among the Arabs and force them to flee. 13-14 April 1948(Palestine) : a contingent of Lehi and Irgon entered this village (near Tiberias) entered the village on the night of 13 April dressed as Arab fighters. Upon their entrance to the village the people went out to greet them, the terrorists met them with fire, killing every single one of them. Only 40 people survived. All the houses of the village were raised to the ground. This photo is of Ahmed, who’s family hosted me in Ramallah, and his mother, a survivor of the 1948 ethnic cleansing that created Israel. I taped the interview and will edit it and share it sometime publicly. In short, Ahmed’s mother is from a village called Abu Shusha, which was attacked by the Haganah on, I think May 14th 1948, just before Israel announced itself as a country. The Haganah was the Zionist colonists “army” that later became the Israeli army. She described how the Haganah tried to enter the village three times but was repelled by armed resistance from the village. Finally, the village was occupied. Seventy two men were killed in a massacre, including three of her brothers, who were dragged through the streets. The village was cleared of all men, and those who were not killed fled or escaped. For a time, it was only women and children there, living under the Haganah’s control. Then, the Haganah gathered everyone together and told to leave – they were to go to the next village on foot. As the villagers left, the Haganah fired shots in the air to frighten them and make sure that they understood they could not return. When they arrived in the next village, it was already empty… the residents had fled fearing a massacre like what happened in Abu Shusha. Ahmed told me that his mother often cries when watching the news about Lebanon. I asked her what she thought of the situation, and she said that seeing the refugees reminded her of 1948, and she felt so sorry for them. May 15, 1948 (Palestine): “From testimonies and information I got from Jewish and Arab witnesses and from soldiers who were there, at least 200 people from the village of Tantura were killed by Israeli troops… “From the numbers, this is definitely one of the biggest massacres,” Teddy Katz an Israeli historian said Tantura, near Haifa in northern Palestine, had 1,500 residents at the time. I was 21 years old then.They took a group of 10 men,lined them up against the cemetery wall and killed them.Then they brought another group, killed them, threw away the bodies and so on, Tanji said. I was waiting for my turn to die in cold blood as I saw the men drop in front of me. Katz said other Palestinians were killed inside their homes and in other parts of the village. At one point, he said, soldiers shot at anything that moved. 21 May 1948(Palestine): after a number of failed attempts to occupy this village, the Zionists mobilized a large contingent and surrounded the village. The people of Beit Daras decided that women and children should leave. As women and children left the village they were met by the Zionist army who massacred them despite the fact that they could see they were women and children fleeing the fighting. 11 July 1948 (Palestine): after the Israeli 89th Commando Battalion lead by Moshe Dayan occupied Lydda, the Israelis told Arabs through loudspeakers that if they went into a certain mosque they would be safe. In retaliation for a hand grenade attack after the surrender that killed several Israeli soldiers, 80-100 Palestinians were massacred in the mosque, their bodies lay decomposing for 10 days in the mid-summer heat. There was no way of avoiding the use of force and warning shots in order to make the inhabitants march ten to fifteen miles to the point where they met up with the legion-. Most of the 60,000 inhabitants of Lyda and Ramble came to refugee camps near Ramallah, around 350 lost their lives on the way through dehydration and son stroke. Many survived by drinking their own urine. The conditions in the refugee camps were to claim more lives. 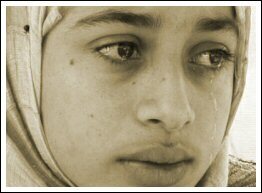 On October 29 Palestine): the Israeli army brutally massacred about 100 women and children, precipitating a massive flight of people from that village on the western side of the Hebron mountains. Mr. Walid Khalidi, author of All That Remains, says that the Palestinian inhabitants at Dawayma faced one of the larger Israel massacres, though today it is among the least well-known. The following are excerpts of a description of the massacre published in the Israeli daily ‘Al ha Mishmar, quoted in All That Remains: The children they killed by breaking their heads with sticks. There was not a house without dead…one commander ordered a sapper to put two old women in a certain house…and to blow up the house with them. The sapper refused…the commander then ordered his men to put in the old women and the evil deed was done. One soldier boasted that he had raped a woman and then shot her… A former mukhtar (head of a village) of Dawayma interviewed in 1984 by the Israeli daily Hadashot, also quoted by Mr. Khalidi, offered another description: The people fled, and everyone they saw in the houses, they shot and killed. They also killed people in the streets. They came and blew up my house, in the presence of eye-witnesses…the moment that the tanks came and opened fire, I left the village immediately. At about half-past ten, two tanks passed the Darawish Mosque. About 75 old people were there, who had come early for Friday prayers. They gathered in the mosque to pray. They were all killed. About 35 families had been hiding in caves outside Dawayma, according to the mukhtar, and when the Israeli forces discovered them they were told to come out, line up, and begin walking. “And as they started to walk, they were shot by machine guns from two sides…we sent people there that night, who collected the bodies, put them into a cistern, and buried them,” the mukhtar told the Israeli daily. 26/10/1948 (Lebanon) :Houla is located in southern Lebanon, only a few kilometers from the Israeli border. When Arab volunteers gathered to liberate Palestine from “Israeli” occupation, they established their headquarters in Houla, on hills overlooking Palestine. The force was successful in fending off major attacks on Lebanese villages, but the fighters suddenly withdrew on October 26, 1948.” “Jewish militants attacked the town to avenge the residents’ support of Arab resistance forces. On October 31, Jewish militants dressed in traditional Arab attire entered the border village. Residents gathered to cheer the men, thinking Arab volunteer fighters had returned. They were wrong. The militants rounded up 85 people and detained them in a number of houses, firing live ammunition at the civilians and killing all but three. That was not enough. Jewish militants blew up the houses with dead corpses inside. They confiscated property and livestock. The three who survived the massacre, of whom one is still alive, and other town residents fled to Beirut. Following the armistice agreement between Lebanon and “Israel” in 1949, village residents returned to find their houses in rubbles and their farms burnt. Houla remains under Israeli occupation today, and has suffered the brunt of “Israeli” animosity towards Lebanon. Only 1,200 out of 12,000 people remain in the village. The Houla massacre was one of a series of massacres committed by “Israel” against Lebanese civilians. 1948 (Lebanon) : After forcing the population together in the mosque of the village, the occupation forces ordered then to face the wall, then started shooting them from behind until the mosque was turned into bloodbath, 105 person were mrytyred. 7 Febraury 1951(Palestine): Israeli soldiers corssed the armistice line to this village (5Km from Jerusalem) and blew up the houses of the Mukhtar and his neighbors. 10 were killed (2 elderly men,raeli soldiers corssed the armistice line to this village (5Km from Jerusalem) and blew up the houses of the Mukhtar and his neighbors. 10 were killed (2 elderly men, 3 woemen and 5 children) and 8 were wounded. moved toward the village. Upon arrival, it surrounded it and cordoned it off from all ofthe other Arab villages. The attack began with concentrated, indiscriminate artilleryfire on the homes in the village. This continued until the main force reached theoutskirts of the village. Meanwhile, other forces headed for nearby Arab towns suchas Shuqba, Badrus and Na’lin in order to distract them and prevent any aid fromreaching the people in Qibya. They also planted mines on various roads so as toisolate the village completely. On October 29, 1956 (Palestine): the day on which Israel launched its assault on Egypt , units of Israel Frontier guards started at 4:00 PM what they called a tour of the Triangle Villages. They told the Mukhtars (Aldermen) of those villages that the curfew from that day onwards was to start from 5:00 PM instead of the usual 6:00 PM, and that the inhabitants are requested to stay home. The Mukhtar (Alderman) protested that there were about 400 villagers working outside the village and there was not enough time to inform them of the new times. An officer assured him that they will be taken care of. Meanwhile, the officers positioned themselves at the village entrance. At about 4.55 PM, unaware of the ambush awaiting them, the innocent farmers started flocking in after a hard day of work. The Israeli soldiers started stepping out of their military trucks and ordered the villagers to line up. riddled the bodies of the Palestinian villagers with bullets in cold blood. With the massacre practically over, the soldiers moved around finishing off whoever still had a pulse in him. The government of Israel took great pains to hide the truth, but after the investigation was concluded, Ben Gurion, the Israeli Prime Minister, announced that some people in the Triangle had been injured by thefrontier guards. The press also was part of the conspiracy to cover up the incident. The Hebrew press wrote about a “mistake?” and a “misfortune” , when it mentioned the victims, and it was difficult to tell whom it meant. More absurd than the trial of accomplices was their light sentences. The court found Major Meilinki and Lt. Daham guilty of killing 43 people and sentenced the former to 17 years and the latter to 15 years. What was remarkable about the Israeli official attitude was that various authorities competed to lighten the killer’s sentences. Finally, the committee for the release of prisoners ordered the remission of a third of the prison sentence of all those who were convicted. In September 1960, Daham was appointed in the municipality of the city of Ramle as officer for the Arab Affairs. 3/11/1956 (Palestine): Another massacre is committed on November 3, 1956 when the Israelis occupy the town of Khan Yunis and the adjacent refugee camp. The Israelis claim that there was resistance, but the refugees state that all resistance had ceased when the Israelis arrived and that all of the victims were unarmed civilians. Many homes in Khan Yunis are raided at random. Corpses lie everywhere and because of the curfew no one could go out to bury them. (An UNRWA investigation later found that the Israelis at Khan Yunis and therefugee camp had murdered 275 civilians that day ). After the Israelis withdrew from Gaza under American pressure, a mass grave was unearthed at Khan Yunis in March 1957. 13 November 1966(Palestine): Israeli forces raided this village, destroyed 125 houses, the village clinic and school as well as 15 houses in a neighbouring village. 18 people were killed and 54 wounded. 1975 (Lebanon) :The 1sraelis perpetrated this massacre starting with a booby-trapped bomb. Then Israeli’s detained three brothers, and killed them. They threw Their bodies on the road. 9 cicvlians were killed, 23 were wounded. 4/4/1981 (Lebanon) :One of Saida’s residential areas was targeted by the Israeli artillery which resulted in killing of many civilians and damaging to many buildings.20 persons were kiled, 30 were wounded. 17/7/1981 (Lebanon):A horrible massacre took place when Israeli warplanes raided a crowded residential area using the most developed weapons killing and wounding many citizens. 150 perosn were killed, 600 were wounded. Two days before the massacre began – on the evening of September 14 – planning and coordination meetings were held between terrorist Sharon and his companion, Eitan. Plans were laid to have the kata’ib forces storm the camps, and at dawn, September 15, Israel stormed West Beirut and cordoned off the camps. A high-level meeting was held on Thursday morning, September 16, 1982 in which Israel was represented by General Amir Dawri, Supreme Commander of the Northern Forces. The process of storming the camps began before sunset on Thursday, September 16,and continued for approximately 36 hours. The Israeli Army surrounded the camps, providing the murderers with all the support, aid and facilities necessary for them to carry out their appalling crime. They supplied them with bulldozers and with the necessary pictures and maps. In addition, they set off incandescent bombs in the air in order to turn night into day so that none of the Palestinians would be able to escape death’s grip. And those who did flee – women, children and the elderly – were brought back inside the camps by Israeli soldiers to face their destiny. At noon on Friday, the second day of the terrorist massacre, and with the approval of the Israeli Army, the kata’ib forces began receiving more ammunition, while the forces which had been in the camps were replaced by other, “fresh” forces. On Saturday morning, September 18, 1982, the massacre had reached its peak, and thousands of Sabra and Shatila camp residents had been annihilated. Information about the massacre began to leak out after a number of children and women fled to the Gaza Hospital in the Shatila camp, where they told doctors what was happening. News of the massacre also began to reach some foreign journalists on Friday morning, September 17. One of the journalists who went into the camps after the massacre reports what he saw, saying, “The corpses of the Palestinians had been thrown among the rubble that remained of the Shatila camp. It was impossible to know exactly how many victims there were, but there had to be more than 1,000 dead. Some of the men who had been executed had been lined up in front of a wall, and bulldozers had beenused in an attempt to bury the bodies and cover up the aftermath of the massacre. And they killed them right then and there. The massacre continued until noon on Saturday, September 18, leaving between 3,000 and 3,500 Palestinian and Lebanese civilians dead, most of them women, children and elderly people. 11/12/1986(Lebanon): The Israeli warplanes raided this Palestinian refugee camp killing many of the refugees. 20 person were killed , 22 were wounded. casualties, 34 more being killed. 20 May 1990, an Israeli soldier lined up Palestinian labors and murdered seven of them with a sub-machine gun. 13 Palesinians were killed by Israeli forces in subsequent demonstrations at the massacre. Abdil Rahim, Ziyad, Zayid, Sleiman, Omar, Zaky and Yousif carried their small lunch bags with a few bread loaves, a tomato and a sardine can, and said goodbye to their families in the early hours of Sunday 20.05.1990. It was very early in the morning, the sun hadn’t risen yet, and the refugee camps were engulfed in total darkness. The usually busy and noisy narrow roads and alleys were empty and quiet. The children were still asleep and dreaming of the toy and the colouring book their fathers will bring them back from work. The young women were still asleep and dreaming of the ring and the necklace their fiancés would buy so they could finally marry. The wives sat near their sleeping children and dreamt of the meat their husbands might bring back from work so they could cook a decent meal for the family. The mothers sat in the darkness, watching their children leave to work, and prayed that they reach their working place safe, find a job for the day and get paid so they can repair the leaking roof before the next winter. As they watched them disappear in the darkness, they prayed that their children come back safe to their homes and to their families. The roads and alleys of the refugee camps were quiet and empty, except for the sounds of the marching Israeli occupation soldiers, patrolling the open-air prisons, and holding the entire Palestinian population hostage to occupation and oppression. The roads and alleys of the refugee camps were quiet and empty except for the footsteps of the workers, heading to work in the early hours of the morning, hoping to find work that day, and thinking of their children, their mothers, their wives, their fiancés and hoping to be able to bring back toys, colouring books, food, a necklace and ring and enough money to fix the roof before the next winter. Abdil Rahim, Ziyad, Zayid, Sleiman, Omar, Zaky and Yousif were refugees, their families expelled from their original homes and villages by Zionist terror gangs during the Nakba. Abdil Rahim, Ziyad, Zayid, Sleiman, Omar, Zaky and Yousif were made refugees by the Zionists colonists who ethnically cleansed entire Palestinian villages, demolished them and erased them off their invented Zionist map. Abdil Rahim, Ziyad, Zayid, Sleiman, Omar, Zaky and Yousif came originally from villages that once prospered and thrived. They had beautiful homes with flowers on the window sills, and had fertile lands which were green all year around. They once tended vast olive and apple fields, orange groves and vineyards. The indigenous people of Palestine, the owners of the land, were forced to live exiled in their own country, were forced to live in over-crowded rooms while Zionist colonizers thrive and live in stolen Palestinian homes, on stolen Palestinian land. And as the Nakba continues, as the catastrophe of the Palestinian people continues, the suffering of the Palestinians knows no end and the injustice done to them and their families is limitless. To feed their families, and like thousands of fellow Palestinians, Abdil Rahim, Ziyad, Zayid, Sleiman, Omar, Zaky and Yousif were forced to work like slaves for the thieves who stole their lands and homes, were forced to work for the killers who forced their families out of their homes, were forced to work for the Zionists who had made refugees out of them. Abdil Rahim, Ziyad, Zayid, Sleiman, Omar, Zaky and Yousif were among a group of over 100 Palestinian labourers from the occupied and besieged Gaza Strip who were waiting at the Oyoun Qarra bus stop to be transported to their working place. An Israeli occupation soldier, Ami Popper, from nearby Rishon Lezion Zionist colony approached the workers and asked them for their IDs. After making sure all the workers were Palestinians, Popper lined them up, asked them to kneel down in 3 lines, and using his M16 sub-machine gun, he opened fire, killing 7 of them and injuring others. Zionists passed by the scene of the crime in their cars, saw the Palestinian labourers, young and old, lying on the ground, drowning in pools of blood, their lunch bags scattered around them, and drove on. Palestinian worker crying after the massacre (l). Israeli police checking clothes of the victims (r). Zionists passed by the scene of the crime in their cars, heard the Palestinian labourers moan in pain, heard them cry out for help, and drove on. When the Israeli ambulances and occupation police finally arrived to the scene of the massacre, 7 Palestinians were already dead, and instead of providing help to the severely injured, the Israeli police started beating the Palestinians workers who had survived the death machine. And as with all massacres committed by Zionists, the Israeli government rushed to declare Popper deranged. But when it was proven that he wasn’t, he was theatrically ‘tried’ and ‘charged’ with murder in 7 cases. However, while in detention, the terrorist Popper receives “special treatment”; he was allowed to get married, had 3 children with his wife and is allowed 48-hour furloughs. In 1997, the Israeli government reduced the prison sentences of 4 Zionist terrorists convicted of murdering Palestinians and ordered the release of a fifth Zionist terrorist. Popper’s sentence of 7 life terms was reduced to 40 years. Abdil Rahim, Ziyad, Zayid, Sleiman, Omar, Zaky and Yousif were Palestinian labourers from the occupied and besieged Gaza Strip. Like every Palestinian labourer, they woke up every morning to a new day, full of new hopes and new strength to face and defy the occupation, the oppression, the siege, the closure and the Zionist terror. Like every Palestinian labourer, they woke up every morning, went to work because they wanted their children to have food on the table, a roof over their heads, an education and a future that is free of occupation and oppression, a future free of Zionism. And on the morning of 20.05.1990, they woke up early to go to work and buy toys, colouring books and food for their families. But on that day, on ‘Back Sunday’, Abdil Rahim, Ziyad, Zayid, Sleiman, Omar, Zaky and Yousif did not reach work. They were massacred by a Zionist terrorist, killed in cold blood by an Israeli occupation soldier, a member of ‘the most moral army in the world’. They were massacred, they blood spilt, their dreams killed, their lives brutally cut short by a terrorist entity that supports and encourages and is built on terror. On “Black Sunday”, Abdil Rahim, Ziyad, Zayid, Sleiman, Omar, Zaky and Yousif did not return to their homes with toys, colouring books, meat, rings, necklaces and a promise to repair the leaking roof. They returned to their waiting mothers, wives, children and fiancés carried on the shoulders of their fathers, sons, brothers and comrades. PS: The photos are from newspapers clippings on the massacre which I collected and kept at the time. Since 1967, the “Temple Mount Faithful” fanatic Jewish group continuously attacked Al-Aqsa with the protection and the support of the IOF. Such attacks often ended with Palestinians being killed, wounded or arrested. The worst of these terror attacks is the Al Aqsa massacre. Several days before the massacre this fanatic group informed the media of its intentions to march to Al-Aqsa, on the occasion of a religious festival known as the “Throne Festival”, and place the foundation stone of the so-called “Third Temple”. They called on all Jews to join in this march and their leader and founder Gershon Solomon announced that the “the Arab-Islamic occupation of the temple area must come to an end, and the Jews must renew their profound ties to the sacred area.” Calls were made to the Palestinians to come and protect Al-Aqsa. On Monday 08.10.1990, some 200,000 fanatic Zionist Jews marched to Al-Aqsa. The Israeli army assisted the fanatics as usual and eased their mission by placing military checkpoints along the entrances to the city, so as to prevent the Palestinians from getting in and protecting the Al-Aqsa. Nevertheless, thousands of Palestinians had already gathered inside Al-Aqsa since the night before and early morning. It was when the Palestinians tried preventing the fanatic group from placing the so-called ”foundation stone” for their so-called temple, that the massacre began. IOF soldiers and the fanatic settlers starting shooting randomly at the unarmed Palestinians, not distinguishing between young and old, men and women, and using machine guns and gas bombs. Israeli helicopters participated in the massacre from the air. The massacre lasted 35 minutes, from 10:00 to 10:35, in which at least 17 Palestinians (some sources mention 18, others 23) were killed and some 900 injured, most of the wounds being in the head and in the heart. And as if that wasn’t enough, the IOF then started beaten the people with their clubs and rifles. 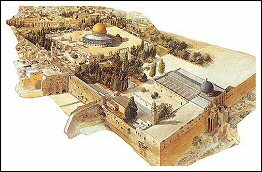 News agencies described the blessed precincts of al-Aqsa Mosque saying that blood had covered “the entire two hundred meters between the Dome of the Rock and al-Aqsa Mosque. Blood was flowing everywhere, all over the wide steps, and had stained the white tile the length of the broad courtyard, as well as the doors of both mosques. The walls of the two mosques had long, crimson lines etched onto hem by bleeding hands, and blood had stained the white uniforms of the woman first-aid workers. Everyone – the wounded and the more fortunate, first-aid workers, journalists, and Israeli soldiers – all of them looked as though they were swimming in blood. “On Monday, October 8 1990, 17 people were killed and over three hundred wounded at the Al Aqsa Mosque in East Jerusalem. This is only the second part, about 14 minutes into the event. One sees Palestinians running for their lives, ambulances shot at and tear gassed, medical staff seeking safety behind the mosque, one nurse was shot and wounded (not seen in this video). One hears the Waqf Al Aqsa Mosque officials pleading with the Israeli Police and Border Police to STOP shooting and killing and telling the children to STOP throwing stones and return to the mosque amidst intense Israeli automatic gunfire for 29 minutes. The Waqf Al Aqsa officials were falsely arrested for incitement and released from Israeli detention based on the evidence found in this video. Of the 17 killed that day,16 were shot multiple times from the torso up. 11 of the 17 in the head or neck. Ages ranged between 15 and 63. Presented at the UN Security Council to a full Chamber- UNSC Resolutions 672 / 673 passed without veto. The Al Aqsa Martyrs and their wounds. While worshippers in the Ibrahimi Mosque in the city of Hebron were kneeling and prostrating before God, turning their faces toward the sacred house of God in the Friday dawn prayer on February 25, 1994, showers of treacherous Zionist bullets began raining down on them from all directions, felling more than 350 peaceable worshippers, some of whom were killed, and others wounded. And thus began the second chapter of this terrorist massacre at the hands of terrorist settler Baroukh Goldstein and his helpers. As for the first chapter, it had begun at the hour for the final evening prayer on Thursday, at which time Jewish settlers and soldiers prevented Muslim worshippers from entering the sacred masque to perform the evening prayer under the pretext that this was the day of their “Boleme” feast. Terrorist settlers gathered in the outer courtyards of the mosque and began setting off fireworks in the direction of the worshippers. At 5:20 a.m. today everyone was standing up [in the mosque]. As I took off my shoes, I saw an old man wearing military clothes who was running along carrying a huge weapon loaded with ammunition. I was surprised to see him come into the mosque during the prayer. He opened fire, and I ran away and asked the soldier who guards the area to intervene. But all he did was beat me up, then I left the mosque area. Sari was wounded in both legs when he tried to stand up. A number of young men were able to get over to where the attacker was and to protect others in the mosque with their bodies. And within moments Goldstein had been brought to the ground by the young men. But due to the heavy gun fire, the mosque had turned into something on the order of a slaughterhouse, filled with pools of blood. Muhammad Sulayman Abu Salih, a custodian at the Abrahamic mosque, describes the terrifying sight inside the mosque saying, “The terrorist was trying to kill as many people as possible. The corpses were scattered all over, spattering the floor of the mosque with blood. Worshippers who had been prostrate tried to flee in terror, and some of them fell on the floor.” Then he adds, “I shouted at the top of my lungs to the soldiers to come and stop him, but all they did was run away. The armed man reloaded his rifle at least once and killed at least seven people at one time, the contents of their skulls scattering all over the floor. very slow; they actually delayed the arrival of the ambulances. heinous massacre carried out against worshippers at the Ibrahimi Mosque led to more than 24 deaths and injured hundreds of others. It was very early in the morning when I told my mother about the dream I had the night before. I was in the sitting room of my grandparents’ house in Dheisheh refugee camp and my mother’s uncle, who had died a few months earlier, came and we had a small chat and then he asked me if I would like to go away with him. I said yes and put on my slippers and followed him. At the entrance of the house, I stumbled and lost one of my slippers. I knelt down to put in on and as I stood up, my mother’s uncle had gone and left me alone. My mother, who was this uncle’s favourite niece, looked for a minute worried but said in a calm voice that it’s good I didn’t follow him. She explained that many believe when someone follows the dead in a dream it means that person will die soon. But we didn’t talk further about it, for it was only a dream. I got ready for the university, cursing the fact that I had such an early lecture on a Friday when almost everyone else was still sleeping, and before leaving my mother told me to be careful and to take care. I got to the Jerusalem central bus station and sat in the Hebron bus. The bus was half full with students, workers and other passengers who sat waiting for it to get filled and move. From my seat I watched life go by in the central station: some people were getting into buses to go to school or work, other buses had just arrived and their passengers were leaving, some were buying a newspaper, others buying Ka’ek and Falafel and others were standing in a corner waiting for their buses to come. It wasn’t as filled as other week days, but it was busy with life: another usual day in the Jerusalem bus station. And it seemed this was going to be another usual morning in occupied Palestine, i.e. as far as “usual” goes in occupied Palestine. As I sat and waited, busy with my thoughts, there was a sudden commotion and murmur in the bus. At first, I thought it’s probably some of the passengers complaining about the bus taking so long to get on the move, but as I looked around me, I saw everyone looking out of the windows. I had been so immersed in my thoughts that I hadn’t noticed the commotion in the station although I had been watching the people. Outside the bus, people were walking quickly, some were running, others were waving with their hands, talking loud, but it was difficult to understand what they were talking about. The bus driver, who had been standing near the bus, came in and said in a calm voice that there had just been another massacre, this time in the Ibrahimi mosque in Hebron. For a few minutes there was complete silence in the bus. I suppose most of us were thinking: till when? Will there ever be justice for us in this damned world? Then some started asking about what details he had, which wasn’t much, and when the bus driver turned on the radio, we all went quiet. Not much was said about the massacre, it was after all the Israeli radio, but it was confirmed: people have been “killed” in the Ibrahimi mosque, massacred or butchered being the right word. More people got on the bus and everyone was talking about the massacre. There was anger, much anger, there was bewilderment, there was sadness, and there was defiance. I didn’t know the people on the bus, but in that moment we were all one: We were all Palestinians, it was our shared pain and our shared destiny. As the bus made its way to Bethlehem, throughout this seemingly extremely long trip, we saw Palestinian Red Crescent ambulances from Jerusalem and Ramallah rushing towards Hebron, the scream of their sirens breaking the silence of the morning and shaking everyone it passed. It was becoming clear to everyone that this was going to be another “Palestinian day”; where Palestinian blood would be shed by the Zionist entity. We didn’t know all the details yet. All what was known to us by the time was that a Zionist colonist had killed several Palestinian worshippers in the Ibrahimi mosque, and if you think that is macabre enough, let me tell you that this was only the beginning of what happened on that Friday morning in occupied Palestine. When the bus finally reached Bethlehem, I got off at my usual stop and walked up the road to the university. It was still early but I could see many people gathered everywhere. The main Jerusalem-Hebron road was filled with people. At the university, everyone was talking about the massacre and friends and fellow students were gathered at the main entrance. Anger and pain were drawn on the faces. There were calls to go to the Al-Hussein hospital, which was just down the road, and donate blood. It seemed as if everyone in Bethlehem and the area, including ambulances from everywhere, was heading towards the hospital. A group of us were going down the road as well, when someone came running and said that the Israeli soldiers were everywhere; blocking the main road and surrounding the hospital. From where we stood, we could see what was going on down on the main road and around the hospital. The soldiers were shooting in all directions and at everyone. It was like a warzone. Some soldiers were trying to stop the ambulances and the private cars transporting the wounded from reaching the hospital, others were shooting randomly at people in the street and around the hospital, snipers were on roof of houses and were shooting to kill. It was obvious that they intended for this to be a wide-scale massacre. And standing there at the top of the road, you could see it all. There was no time to think of one self, of one’s safety, we were all one; from Hebron to Jerusalem, from Nablus to Gaza, from Bethlehem to Jenin, from Nazareth to Rafah. It was our blood that had been spilt that morning in the Ibrahimi, it was our brothers, our fathers, our friends who were butchered by the Zionists that morning. And standing there, you could see that red flash of the bullets when shot, for now they were shooting in our direction as well. In return, stones started flowing at the occupier, at the soldiers who had come to kill people who were donating blood, people who were mourning. It was a real battle, and the whole area turned into a battle field. And when the soldiers saw that they with their sophisticated weapons were losing against students armed with tiny stones and with the love of Palestine and freedom, they came with their jeeps up the roads towards us. Some made it in time into the campus before the main door was closed, others ran towards the alleys of the old city of Bethlehem trying to escape the Israeli soldiers who came chasing. I don’t know how long the chase lasted, you lose feel of time in such situations. And as fully-armed Zionist occupation soldiers chased unarmed Palestinian students, Palestinian homes everywhere opened their doors to embrace these students and protect them. I said it at the time, and I want to take the chance to say it again today: Thank You! During the chase, a curfew was imposed on the city, but we didn’t hear the soldiers announcing it and only knew about it while in the safety of Palestinian homes. The Israeli army knew that many would not have heard the calls for a curfew, and thus shooting more Palestinians would have been justified with the “breaking the curfew” excuse. That morning in February, Palestine embraced 29 of its children to its bosom and was to embrace yet more by the end of the day. In Hebron, the Israeli army surrounded Al-Ahli hospital and occupied the roofs of the houses around it. People had gathered from all over the city and the surroundings to inquire about family members and friends, many came to donate blood, others wanted to assist in any way possible. Pharmacies of the city collected whatever medicines and bandages and oxygen canisters they had and brought them to the hospital. Israeli helicopters were hovering over the area and tear gas was fired at the crowds gathering in front of the hospital. . The Israeli army called for reinforcement to fight the army of wounded and was shooting extensively as if in a battlefield. And it wasn’t only the wounded worshippers brought to the hospital on stretchers who were the target of the Zionist snipers, but also the medics who were trying to save peoples’ lives and those who had come to donate blood. One example is ‘Arafat Al-Bayid, father of 3, who was killed at the entrance to Al-Ahli hospital after he had donated blood. Witnesses and medics reported that the Israeli army prevented medics from reaching the wounded and prevented the wounded from reaching the hospital which caused some to bleed to death and others were shot while transporting the wounded. Most of the injuries were caused by high velocity bullets. The director of Al-Ahli hospital, Mahmoud At-Tamimi, recalled: “After treating the dead and the wounded and extracting the bullets, we found different types of bullets. Some bullets were shot from Uzi machine gun and other bullets including the dumdum were shot from other types of guns. There were also other wounds resulted from splinters which confirmed the testimonies of people that hand grenades were used … According to [forensic] medicine, 1 in 15 people get killed in cases similar to this one. But in this massacre the ratio was 1 to 6. This significantly higher ratio indicates that the people were barraged with too much gun fire and there was delay in our attempt to rescue them due to the blockades … Ambulances that came from the adjacent villages of Halhol and Beit Ummar to assist were also delayed by the Israeli army blockades … The army provoked residents who came to donate blood or assist… A young man who just donated blood left the hospital and he was returned to it shortly after the Israeli soldiers shot him dead. They brought him back without the upper part of his skull… Four of the people who donated blood were later killed by the soldiers in the vicinity of the hospital.” Because there were so many wounded, they had to be transferred to at least 6 hospitals in the area, including Al-Hussein, Al-Maqasid and Ramallah hospitals. But the Zionist forces followed them even there, as was the case with Al-Hussein hospital in Beit Jala. More Palestinians were killed by the IOF during the rush burial of some martyrs. ‘Atiyah Mohammad As-Salaymeh, father of 5, was killed while burying one of the martyrs. He was shot by a Zionist sniper and fell right over the body of the martyr he was burying. Both martyrs were buried in the same grave. The massacre went on and more Palestinians fell with every passing hour. The soldiers used their live ammunition to the fullest against the protesters who took to the streets in the hundreds to protest the massacre. The result was that by the end of that Friday the terrorist Goldstein, together with his fellow terrorist colonists and the terrorist IOF soldiers had killed over 60 Palestinians and wounded hundreds. 1 According to several reports, the terrorist Benjamin Goldstein, an American doctor from Brooklyn, was known as a racist and Arab-hater since an early age. He changed his name to Baruch and in 1982 joined the fanatic terror group Kach of Maier Kahana. In 1983 he came to occupied Palestine and lived in the illegal colony Kiryat Arba’, home to some of the most fanatic Zionist colonists. Goldstein, who was later labelled “mentally deranged”, served in the Israeli terror army and was wearing an Israeli military uniform when he committed the massacre. On that morning in February, Goldstein, well-known to everyone including the IOF as being fanatic, made his way towards the Ibrahimi mosque heavily armed with automatic machine guns, several bullet magazines and hand grenades. He passed at least two IOF army checkpoints on the way to the Ibrahimi and was allowed to enter a mosque filled with unarmed worshippers. Eyewitness Muhammad Sari recalled that “the muezzin announced the beginning of the prayer, so we knelt and made the first prostration. Then all of a sudden we heard the sound of heavy gun fire coming from behind us. When I turned around in the direction of the sound, I saw a soldier in full uniform. He had put ear pieces in his ears, and he was holding a rapid-firing machine gun and firing in the direction of the worshippers.” Another witness, S.A., 18 years, said: “I stood with my friends and brother and then we started praying and the shooting started. I looked to my right and to my left and saw everyone bleeding and when I looked around me (I saw) my best friend was dead and his eyes and mouth were open. I looked before me and saw my other friend bleeding heavily from the head … I tried escaping from this hell and tried to help one of the wounded but he was dead as well.” Farhan Hussein Al-Ja’bari, 7 years old, recalled how he and his brother Sari were scared and started crying when they saw the dead and bleeding worshippers. And when they searched for their father, they found him dead with his head riddled with bullets. The Israeli occupation army and the fanatic colonists of Kiryat Arba’ were direct partners in the “act of a deranged individual” as the Israeli government termed this full-scale massacre. They participated in the massacring of Palestinian civilians that day. The Zionist entity claimed it “condemned” the “attack”, “regretted” it and that it was “shocked” at what happened, when in fact it finances and encourages such fanatics, builds illegal colonies for them on stolen Palestinian land, arms them and gives them green light to kill Palestinians. But if it really “regretted” and “condemned” such acts of terror, which it doesn’t, why didn’t it confiscate the arms of fanatic colonists? Why didn’t it keep its army away from Hebron and from Palestinian towns, villages and refugee camps? They knew there would be popular rage, why didn’t they order their army to stay away? Simple: because this is an entity built on terror and feeds on terror, because they didn’t “regret” the massacre and because the plan had always been, and still is, to kill as many Palestinians as possible. Goldstein was a well-known fanatic, nevertheless the Zionist government that claims it “regretted the attack” allowed him to give religious advice to Israeli prisoners. He was also allowed to give speeches which mainly concentrated on the “demographic threat to the Zionist entity” and that the transfer of the Palestinians, even by force, is the only solution to this threat. In a theatrical move directed mainly at the western “audience”, the Israeli government banned “Kach”, but in reality members of this terrorist movement are very much active with the full support of the Zionist entity. 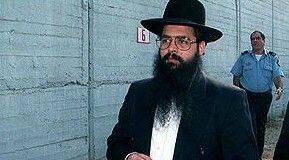 One example is the terrorist Baruch Marzel who was head of the secretariat of Kach and later became the leader of the terrorist “Jewish National Front” which is responsible for many terrorist attacks on Palestinians in occupied Palestine. This “outlawed” terrorist movement “celebrates” every year the butchering of Palestinians and this under the eyes and ears and with the support and approval of the Israeli government. And the Zionist terrorist who committed the massacre got a memorial. And the government that allegedly “condemned” the killing gave its approval for a funeral for the killer, keeping in mind that Palestinians had been killed by the IOF while burying their martyrs. And a Zionist terrorist got a hero’s funeral attended by many Zionist personalities and thousands of Zionist colonists. During the funeral, calls from Zionist colonists were made for similar massacres and the posters of the killer decorated the walls of west Jerusalem neighbourhoods. At the eulogy of Goldstein, speakers referred to the fact that throughout his career, Goldstein refused to treat any wounded Arab or non-Jew. “Rabbi Yisrael Ariel Goldstein described Goldstein as a person who is having a higher status than the saints. He described him as a “Royal Martyr” who was “Listening to the cry of the stolen Land [complaining] from the Ishmaelites [Arabs] every day. And he did [something] to alleviate that cry.” The Rabbi summarized his statement by saying that “It is not peace agreements which recover lands, it is blood that recovers lands.” Another speaker in the eulogy said that “The People of Israel were sick and Goldstein gave us the medication.” This killer is still considered a hero and even a holy man by the fanatic Zionist colonists occupying Palestine and his death is being commemorated yearly. This week, in a further step to Judaize the Ibrahimi mosque, the Israeli government decided to annex it – together with the Bilal Ibn Rabah mosque – and add both to its list of so-called “Israeli Heritage Sites”. Zionist colonists, aka terrorists, continue to live in the heart of Hebron in usurped Palestinian homes, on usurped Palestinian land. They continue their attacks on Hebron and its indigenous population, and are given the full control over the old city and its surroundings, including the Ibrahimi mosque. Complete areas, neighbourhoods and streets are off limit to the Palestinians, and the homes of Palestinians in these areas stand empty waiting for their owners to return. And despite the terrorism of the Zionist entity and its army and colonists against the people of Hebron in an effort to ethnically cleanse the city, the Hebronites will remain steadfast in their city, and those who were kicked out of their homes will return one day because the homes, the streets, the neighbourhoods and the alleys of Hebron have one owner: the Palestinian people. That day, it was dark when I reached home. My parents were following the news of the massacre and the protests all over occupied Palestine on TV. We didn’t talk much, I told them in a few words about my day and except for the usual: are you alright? Yes, I am fine, nothing much was said. But I could see that they were relieved that I was fine. They saw that I was very tired and asked if I wanted something to eat, I hadn’t eaten a thing the whole day, but I was too tired and said I just wanted to go and sleep. As I went to bed, I could hear the news on TV talking about the massacre. I was very tired, but the last thought on my mind before drowning in sleep was: We will have justice. The world has heard about the massacre, about how the Zionists treat us, and has heard our message of protest against the occupation and the oppression. We will get justice. Today, 16 years after the massacre, Palestine is still occupied by Zionist terrorists, Palestinians in Hebron and in all occupied Palestine are still the target of Zionist terrorism, and Zionists still spread terror throughout occupied Palestine and beyond. 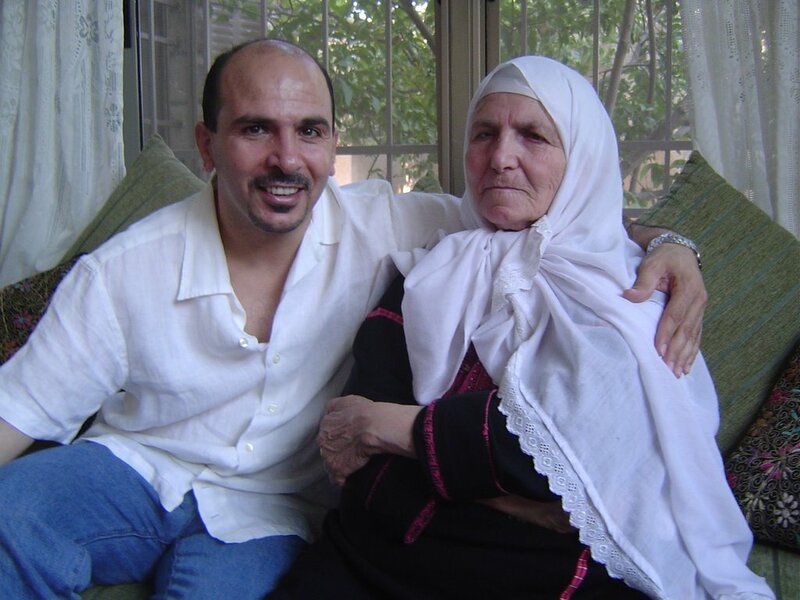 And 16 years later, we are still protesting the Israeli occupation and oppression, we are still steadfast in our land, we are still waiting for justice. Baruch Goldstein: Zionist colonist, member of the terrorist Kach movement, reserve captain in the Israeli army. Colonel Ronin Rafif: IOF, military commander at the Ibrahimi mosque. Ben Benjamin: IOF, in charge of security at the main entrance to the mosque. Ehud Barak: IOF chief of staff at the time. Yitzhak Rabin: Israeli prime minister at the time. 15/4/1994(Lebanon): After blockading the town, armed men entered and ordered the people to gather at the town’s square, where they were assaulted. Then, they took the men and women to the detention camp. Later on they stormed, the district of the town, and killed whomever they saw. 2 perosns were l\killed, 6 were wounded. 17 July 1994, Palestinian sources reported that the occupation forces had committed Sunday morning a disgusting massacre against Palestinian workers at Eretz checkpoint. Eyewitnesses and Israeli sources reported that 11 Palestinians have been shot dead and 200 injured. Israeli sources also reported that 21 Israeli soldiers including 1 settler were injured. Two soldiers were shot by bullets, one died. As reported by Palestinian and Israeli sources, the scene was described as a war zone which lasted for 6 hours. Four Israeli tanks and helicopters were brought by the occupation forces, while a number of settlers were taking part in firing at Palestinians. Protests had spread all over the Occupied Territories. In Gaza, Palestinians raised black flags and called for revenge. In Ramallah, shops closed while several clashes were reported. Several clashes were reported at Hebron University yesterday, and today two Palestinians were shot in Hebron. The Israeli warplanes fired a “vacuum” missile at a two- story building,in Deir Al-Zahranee which was destroyed over the heads of the inhabitants. 8 people were killed , 17 wee injured. The Israeli warplanes targeted school bus ful of puiples 4 childs were killed,10(child) Injured. The Israeli artillery targeted a civilian car carrying eight passengers, killing all of them . On 13 April 1996, at about 1:30 P.M., an IDF helicopter fired rockets at a vehicle carrying thirteen civilians fleeing the village of al-Mansuri, killing two women and four young girls. The vehicle was a Volvo station wagon with a blue flooding light, a red crescent painted on the hood and the word “ambulance” written in Arabic. Reporters at the scene filmed the incident. The film footage shows, and testimony of UN soldiers who arrived immediately after the car was hit corroborate, that there were no weapons or any other type of military equipment in the car, only some food and clothes. Amnesty’s investigation revealed that none of the passengers were connected to Hizbullah. 18 April 1996, Eleven persons were killed and ten injured in an IDF air attack on a house in Nabatiyya al-Faqwah, some three kilometers north of Nabatiyya, in South Lebanon. Eight of those killed were from one family: a mother and her seven children, including a four-day-old baby. Around 6:30 a.m., IDF helicopters fired rockets at three buildings in the village, demolishing one totally and severely damaging the other two. Lebanese families were living in the buildings. The IDF Spokesperson claimed that the helicopters fired at the building in which the eleven were killed because Hizbullah was hiding there after firing the mortars. Investigations conducted by Amnesty and HRW did not confirm this contention The IDF’s statement ignored the fact that the IDF fired at two other buildings during the same attack. Israeli Army Maj. Uzi Dayan said that the soldiers acted “according to regulations” in opening fire on the van with automatic weapons at a checkpoint outside Hebron. In an interview with the “kolhaer” magazine, five Israeli soldiers said that the artillery commander had said to his soldiers “We are skilled marksmen. Anyhow, there are millions of Arabs… It’s their problem. Whether Arabs become one more or less is just the same…We have accomplished our duty. The whole issue is not about more than a group of “Arabosheem” (a racist term hostile to Arabs used by the Israelis). We should have launched more shells to kill more Arabs. The Israeli warplanes dropped bombs on he children who were celebrating the “eid” festival, killing eight children and wounding 11 others. More than 1,400 Palestinians in the Gaza Strip were killed during 22 days of Israeli shelling from sea, air and land. Palestinians in Gaza had nowhere to flee from Israel’s onslaught as the border has been closed for two years, with disastrous consequences for the 1.5 million in habitants of Gaza — the majority of them children and refugees. On 27 December, Israel began its bombardment on Gaza and then on 3 January began its ground offensive. Israel claims that it was targeting Hamas armed fighters and infrastructure, ostensibly in response to the firing of homemade rockets from Gaza into Israel. However, field investigations by the Gaza-based human rights organization Al Mezanshow that United Nations-administered schools, mosques, universities, emergency medical crews, private homes and other civilian objects have all been in Israel’s sights. Among those killed on the first day of bombing, when more than 100 tons of bombs were dropped on the tiny coastal enclave, included police officers who were attending a graduation ceremony, school children heading home after a day of study, and other Gazans killed without warning as they were conducting their normal business. Entire families have been wiped out during the air strikes and shelling, including that of Hamas leader Nizar Rayyan who was extrajudicially executed along with his family in their home in a Gaza refugee camp. More than 40 were killed on 6 January when Israeli forces shelled the United Nations-administered Fakhoura school in the Jabalia refugee camp, where families who had been displaced by the bombing were seeking shelter. The UN has demanded an independent investigation and its spokespersons assert that GPS coordinates of all UN locations were given to Israel to prevent such an atrocity. Israel recanted its claim that resistance fighters released fire on Israeli soldiers from the school, which has been categorically denied by UN officials. The International Committee of the Red Cross protested Israeli forces preventing them from evacuating casualties. Some victims died because Gaza’s hospitals — already chronically short of medicines and supplies due to the Israeli siege — were unable to cope with the scale of the catastrophe. Medical workers faced grave danger as they responded to the sites of Israeli strikes; according to the World Health Organization, as of 8 January, 21 medical workers had been killed and more than 30 injured since 27 December. The bloody operation in Gaza came after the expiration of a six-month-long ceasefire between Israel and resistance groups in Gaza, including Hamas. Israel had broken the ceasefire on 4 November, when it extrajudicially executed six Palestinians in Gaza whom it said was digging tunnels to Israel. During the five previous months of the ceasefire, Hamas had refrained from firing rockets and prevented other groups from doing so. However, Israel failed to ease the nearly two-year-long embargo on the Gaza Strip that has crippled economic life and brought the area to the brink of a humanitarian crisis — one of Israel’s obligations under the ceasefire. The ongoing assault on Gaza is the largest Israeli military operation in the territory occupied during the 1967 War. 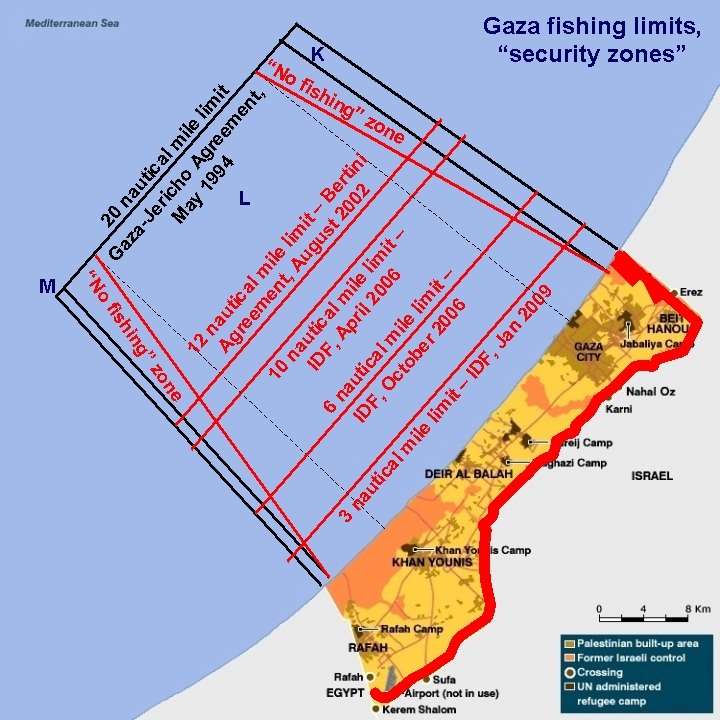 Although Israel unilaterally withdrew its illegal settler population from the Gaza Strip in 2005, it remained the occupying power as it controlled the borders, sea and airspace, as well as the population registry, and regularly carried out sonic booms over the area, terrorizing the population. Israeli forces have also frequently carried out extrajudicial executions of Palestinian activists in Gaza, killing scores of bystanders as well. Gaza hospitals were unable to cope with the situation as Israel’s closure of the Gaza Strip for a year and a half has prevented the importing of medical supplies and equipment. As the morgues filled to capacity, corpses lined the hallways of Gaza hospitals. Hospitals were forced to turn away many of the injured due to the lack of space and supplies. The massive air strikes came after a food crisis broke out in Gaza, as Israel’s banning of imports into the Strip have depleted stocks of flour and cooking gas, causing some bakeries — the few still in operation — to resort to baking bread made out of animal feed. On 18 December, the United Nations agency for Palestine refugees (UNRWA) was forced to stop its food aid delivery to 750,000 refugees in the Gaza Strip. Though it briefly resumed services in January 2009 after a “humanitarian corridor” was established, and a daily three-hour ceasefire was declared, the United Nations announced it was ceasing all services after Israeli forces targeted and killed a UN aid worker and wounded others on 8 January. 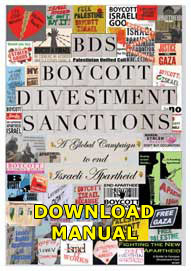 And while government leaders and US president-elect Barack Obama remained resoundingly silent over the ongoing massacres in Gaza (with the exception of Hugo Chavez in Venezuela, which removed Israel’s ambassador from the country), millions of people around the world have taken to the streets to express their solidarity with Palestinians under siege. Analysts say that Arab regimes seen as being in collusion or supporting the siege and massacres, such as the Ramallah-based Palestinian Authority, Egypt, Jordan and Saudi Arabia, will not be unscathed by the popular anger towards these policies. On this day, teh zionist entity cause over 20 deaths mainly unarmed civilians: refugees keeping non-violent protests and try to walk home. Israel encountered the worldwide peaceful memorial of Nakba Day in Israel and Palestine with disproportional violence and caused casualties on 3 borders. Over 400 were injured. MAJDAL SHAMS, Golan Heights (AFP) — Israeli troops opened fire on Sunday as protesters from Syria stormed a ceasefire line in the occupied Golan Heights, with Damascus saying 23 demonstrators were killed. Hundreds of protesters rushed the ceasefire line, cutting through barbed wire as they tried to enter the Golan Heights in a repeat of demonstrations last month when thousands massed along Israel’s north. Updating an earlier toll, Syrian state media reported that 23 people were killed, including a woman and child, and 350 were wounded. The Israeli military said it was aware of 12 casualties. The Israeli military also said that one person was wounded when at least one landmine exploded on Syria’s side of the border. These are just some of the massacres committed against the Palestinians and Lebanese by the Zionists. If the raids on southern Lebanon old and new were to be taken into account the true magnitude of Zionist crimes against humanity could start to emerge. If one were to go into the gruesome details of the atrocities committed in 1948 the -mopping up operations -, the deliberate humiliation and massacres of Arabs and the desecration of the holy places of both Muslim and Christian as well as the looting of these holy places and personal property by the Israeli army and settlers; one might just start to appreciate what Zionism is all about. 1. The Palestinian Encyclopedia, Part I, op. cit., p. 413, paraphrased. 3. The Palestinian Encyclopedia, op. cit., p. 413. 4. al-Sa’di, op. cit., p. 43. 5. The Palestinian Encyclopedia, op. cit., p. 414. 6. al-Sa’di, op. cit., p. 43. 7. The Palestinian Encyclopedia, Part II, op. cit., p. 434. Establishment of Israel, Amman: Dar al-Jalil lil-Nashr wal-Dirasat, 1985, p.
and Publication], no date, pp. 52-53. 12. Dominique Lapierre and Larry Collins, O’ Jerusalem, 1972, p. 275. 13. Hijazi, op. cit., p. 63. 14. al-Sa’di, op. cit., p. 60. 15. Salih al-Shar’, op. cit., p. 201. 16. The Palestinian Encyclopedia, Part III, p. 502. 18. The Palestinian Encyclopedia, Part III, op. cit., pp. 502-503. Arabask [Arabask Publications], 1976, p. 82. 21. The Palestinian Encyclopedia, Part III, op. cit., p. 653. 22. Habiby, op. cit., p. 17. 23. al-Sa’di, op. cit., pp. 85-86. 24. The Palestinian Encyclopedia, Part III. op. cit., p. 653. 25. Habiby, op. cit., p. 37. 26. al-Hamd, op. cit., p. 29. 27. al-Sa’di, op. cit., p. 87.
al-Filistiniya [The Foundation for Palestinian Studies], 1973, pp. 37-38. Social and Military Developments, Beirut: Center for Research, PLO, 1979, p.
31. Abu al-Naml, op. cit., p. 121. Twentieth Century, no date of publication, 1982, p. . . . [?]. 34. al-Hamad, op. cit., p. 36. [Arab Office Publications], 1983, p. 34. 36. Muhammad, op. cit., p. 89. 38. Kabliyouk, op. cit., p. 79. 39. The Qatar News Agency, op. cit., p. 134. 40. Muhammad, op. cit., pp. 119-120. 41. Kabliyouk, op. cit., pp. 51-52. 42. al-Hamad, op. cit., p. 38. 44. al-Hamad, op. cit., p. 55.
wal-Tawzi’ [Khawaja House for Publication and Distribution], 1991, p. 115. 46. The Jordanian newspaper, Al-Dustour, October 9, 1990. 47. al-Zaru, op. cit., p. 129. 49. al-Zaru, op. cit., p. 129. 51. Al-Muslimun newspaper, op. cit. 52. The Jordanian newspaper, Al-Ra’y [Opinion], February 26, 1994. 55. Mustafa, op. cit., p. 9. 56. Al-Dustour, op. cit., Feb. 26, 1994. 57. The Jordanian newspaper, Al-Aswaq [Markets], February 27, 1994. 58. Mustafa, op. cit., p. 9. Markaz Dirasat al-Sharq al-Awsat [Center for Middle East Studies], pp. 84-85. 61. Filastin al-Muslima (London), May 1996 issue, p. 9.